The TOEFL (Test of English as a Foreign Language) is used to evaluate the English language skills of non native speakers who are looking for admission to universities where English is the medium of instruction. It is one of two globally regulated tests, with IELTS (International English Language Testing System) being the other. It provides certification valid worldwide. TOEFL is administered by the Educational Testing Service (ETS), native to the United States. ETS is the largest private nonprofit educational testing and assessment agency in the world. 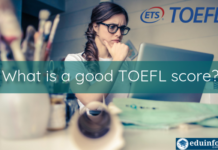 TOEFL tests emphasize English skills in academic scenarios, measures the candidate’s capability in applying English language skills at the university level, and evaluates how well the candidate is able to combine skills such as reading, writing, speaking and listening to accomplish academic responsibilities. The PTE (Pearson Test of English) is one of the Pearson Language Tests. This test is aimed at evaluating and confirming the English language proficiency of non native speakers with special emphasis on utilization of language skills in standard situations. It is a context based test. The test is administered jointly by the Pearson PLC group and Edexcel, which is the world’s largest examining body. The test is accredited by the Qualifications and Curriculum Development Agency (QCDA), UK. 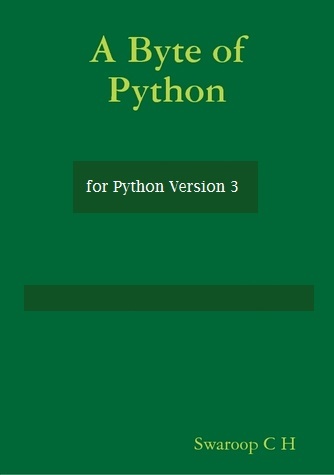 PTE was designed to test English predominantly for academic purposes. That is, it measures the candidate’s proficiency in applying English language skills at the university level, and assesses how competently the candidate is able to combine skills such as reading, writing, speaking and listening to complete academic responsibilities. A standout feature of this test in comparison to other similar tests like the TOEFL or IELTS is that this one is a one hundred percent computer administered test which drastically reduces the time candidates spend waiting for results. 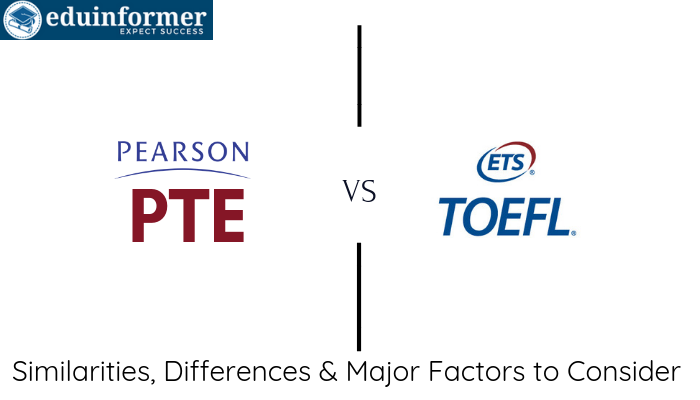 Why choose between TOEFL and PTE? Although both tests are for speakers of English as a foreign language and have widespread acceptance, they differ in some vital areas. 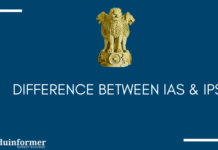 A candidate can therefore appear for one or the other depending on the requirements of the institution of his/her choice, and can play to his/her strength to obtain the highest possible score. – Skills tested – Both the TOEFL and PTE assess the overall English language capabilities, including speaking, writing, reading and listening skills. – Eligibility – There are no official eligibility requirements to appear for TOEFL or the PTE. – Validity period of test results – Both the TOEFL and PTE recommend a period of two years from the test date as the validity period of results, as it has been noticed that for non English speakers second language skills decrease with passage of time. TOEFL Allows candidates to maximize opportunities as most Australian, Canadian, British and New Zealand academic institutions, as well as the ones in the United States give credence to this test. Various professional organizations worldwide also accept these test scores. PTE Originally created because governments, educational institutions and employers felt that a test of greater accuracy was required to assess how well a candidate can use his/her English language skills in day to day life, rather than simply appearing good at English on paper. 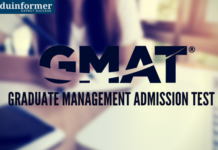 PTE academic is approved by the Graduate Management Admission council in the United States which is responsible for the GMAT. As such, several of the most prestigious academic institutions worldwide such as the Harvard Business School, Yale University and London Business School in the UK, along with institutions in other countries like China, Spain and France accept PTE scores as part of standard admission procedures for undergraduate or graduate courses. PTE General is used by the some employers of English speaking countries as a basis of evaluating the ease with which a prospective worker/immigrant will be able to work and integrate into local communities. It is a theme based exam to test simplicity with which a candidate can communicate in real life situations, rather than an academic knowledge of English. Reading – three to five passages of about seven hundred words are given, and questions must be answered on these in about sixty to eighty minutes. Listening – candidates must answer questions after listening to two student and four academic lectures, each around three to five minutes in length in about sixty to ninety minutes. Speaking – candidates must complete six tasks, two independent and four integrated which involve expressing one’s opinions spontaneously and answering questions based on what they heard in about twenty minutes. Writing – consists of two tasks – summarizing a lecture and writing an essay in about fifty minutes. For PDT: Containing the same sections as the iBT, PDT is evaluated on the same scale, however here there is no total score. Speaking and Writing (77-93 minutes) – the ability to communicate both verbally and through the written word using proper grammar in an academic environment is tested. Reading (32-41 minutes) – an integrated test which uses multiple choice questions, re arranging of paragraphs, etc to test the ability to read, write and listen to English. Listening (45-57 minutes) – the candidate has to listen carefully to audio or video clips which are played only once, and then answer questions based on them. For PTE General: it consists of six levels of proficiency (A1, 1, 2, 3, 4, 5) with A1 being the foundation level and level 5 being the master level. Candidates are required to appear according to their preparation and self understood skills. The candidate can progressively moves up levels as his proficiency in English increases. The TOEFL takes about four hours to complete. The PTE takes about three hours to complete. for example: Hong Kong SAR, or were erstwhile protectorates of the United States, for example: Puerto Rico and those of Canada (excepting Quebec) are not required to appear for the TOEFL test to apply for university admissions because the official language in their countries is English. The same is not the case in other former British colonies such as Bangladesh or Pakistan, as English is only one of the many languages spoken there. For PTE – It remains the only test which is accepted by institutions or employers in non English speaking countries such as Greece, Poland, France, Spain and Malaysia. TOEFL iBT (Internet based test) – candidates appear for TOEFL iBT on computers located at official test centers. 2. TOEFL PDT (Paper delivered test) – for candidates who live in areas where internet testing is unsuitable or not realistic, or areas with poor infrastructure such as Syria, Libya, Nigeria etc. For PTE – The test is automated, and there is no human intervention in any stage of the scoring process. For TOEFL – If the candidate is aged fifteen years or younger, he/she must be accompanied by a parent or authorized adult aged eighteen or above. Such person must remain at the test centre throughout the session, otherwise, the test results may be invalidated and no refund will be provided. Also, both candidate and guardian must provide valid IDs. Hence TOEFL is very stringent in this regard. For PTE – Candidates considered minors in their local areas must fill and submit parental consent forms before appearing for the test. For TOEFL – Previous candidates have reported that the TOEFL is extraordinarily long, and this leads to mental exhaustion. Also, the speaking section of the test has proven difficult for candidates who are not accustomed to speaking at a computer or whose fluency needs improvement. For PTE – The reading section tends to be a challenge if the candidate is not accustomed to reading. Also, many candidates have reported that the speaking section tends to be difficult for those who do not have a more neutral English accent. For TOEFL – If the candidate is more comfortable with typing and appearing for a test which is multiple choice and entirely computer based, TOEFL would be preferred. Also, the candidate must be more at ease with English used in predominantly academic scenarios. For PTE – If the candidate is more comfortable with typing and appearing for a test which is entirely computer based PTE would be preferred. For TOEFL – There are approximately 4500 TOEFL locations in over 165 countries. The candidate may visit the official website https://www.ets.org/toefl/ibt/register/ to locate the nearest centre. Registration closes seven days before the test date. For PTE – There are test centers in approximately 50 countries worldwide. The candidate may visit the official https://pearsonpte.com/the-test/test-centers-and-fees/ to locate the nearest centre. TOEFL – The registration fees for appearing for the test varies from country to country but is on an average $170. This amount is exclusive of taxes and other charges for late registration, rescheduling or score reviews. to find out fees in his region. The amount does not include local taxes applicable, late fees and other add ons. TOEFL – declares about thirteen days after test date. PTE – declares within five days of the test date. Finally, the candidate is advised to appear for mock tests in both cases so that they can judge for themselves which test gives them a greater chance to score higher. Both TOEFL and PTE scores are accepted by reputed organizations worldwide. Candidates may consider the above similarities and differences to arrive at an informed choice.